The rich. The famous. The powerful. They're today's peopleâ€”making today's news. Everyone wants to know as much about them as possible. And most likely, you're no exception. But how much do you really know about today's famous people? Enough to answer 3,000 trivia questions in categories like SONG, TUBE, SCREEN, PAGES, JOCKS, and CHATTER? Enough to bet on your knowledgeâ€”and move rapidly ahead? Enough to trickâ€”and slow downâ€”an opponent? 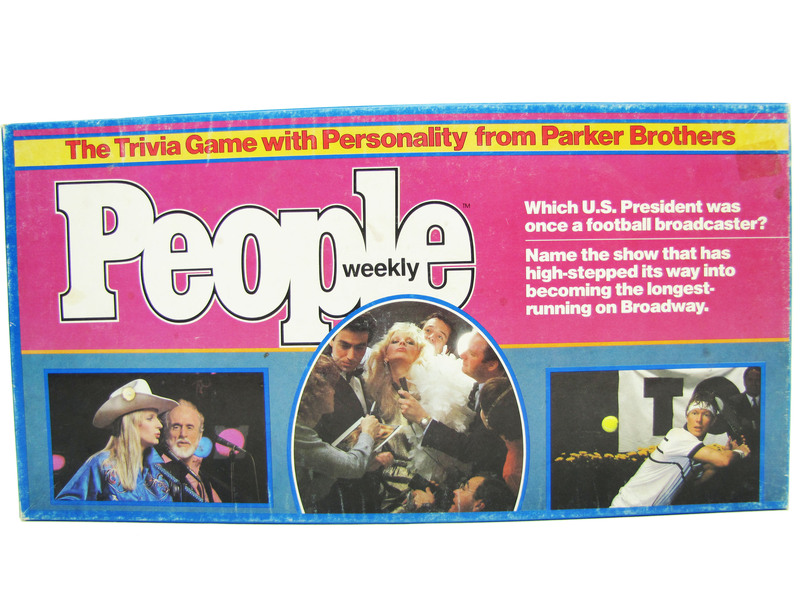 Adapted from the ever-popular PEOPLE WEEKLY magazine, this fast-paced, fascinating game is sure to provide the answer whenever the question is fun.